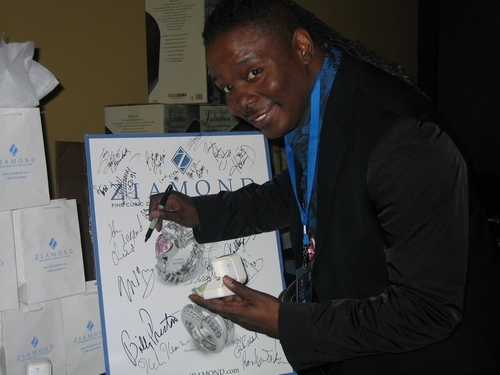 Phillip Bailey from the group Earth, Wind & Fire is a Ziamond Cubic Zirconia CZ Jewelers. Ziamond cubic zirconia cz jewelry has been a best kept secret in celebrity circles for a very long time! Ziamond features the finest cubic zirconia cz jewelry available set in 14k gold, 18k gold and platinum. We look forward to helping you experience the Ziamond difference.